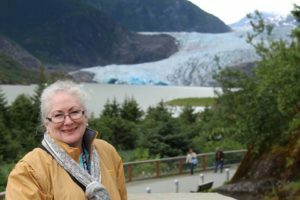 Hello, I am Kim Ferguson, aspiring artist – I have dabbled in art all my life starting with pencil, crayons, oils, acrylics, and watercolors. My first Illinois watercolor teacher was Eva Meadows. My art was put on the back burner for years after Eva ceased teaching. Then a few years ago I found watercolorist, Marty Spears, through the GEAG. 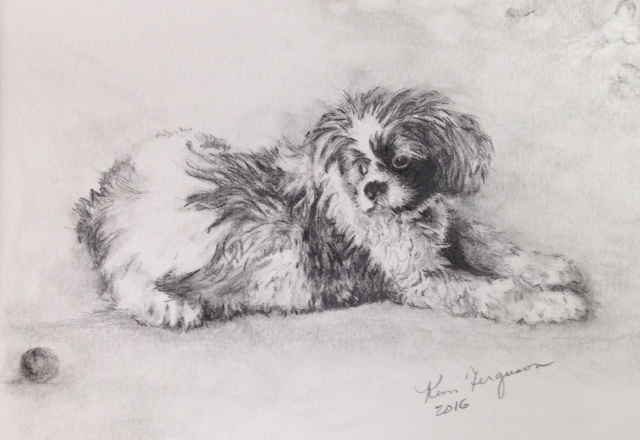 I have difficulties with value in my paintings and fortunately for me local graphite artist Kathy Gomric started teaching drawing classes. Long story short I now take classes from Kathy too. I am still looking for my “voice” or my artistic expression which would make my body of work truly mine. My love of animals and children is reflected in my art. I hope you enjoy it.